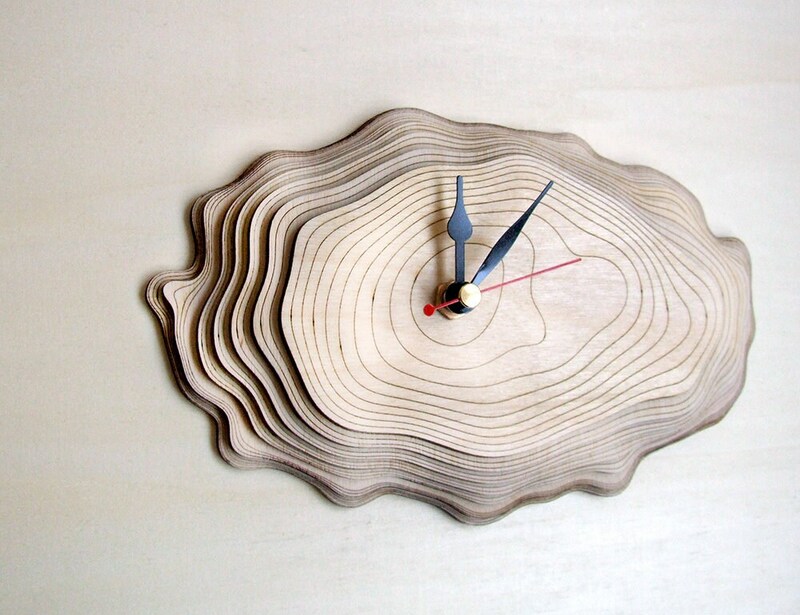 This clock is made of seven layers of precisely cut and engraved wood. 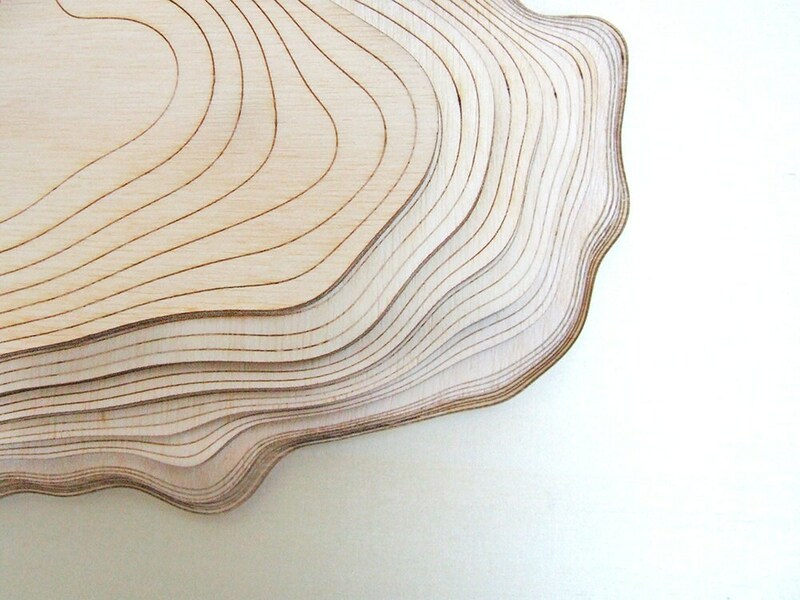 The layers of wood resemble the growth rings of a tree. 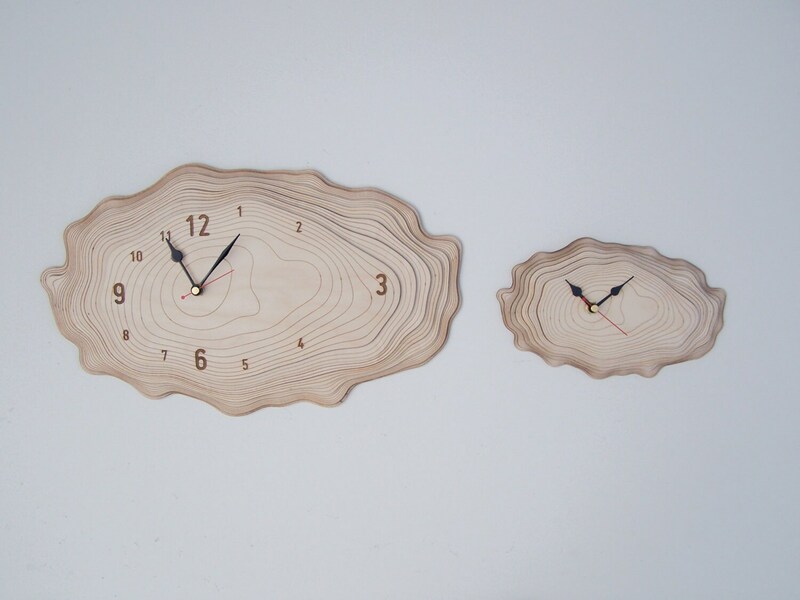 The clock will mount flat to the wall because the mechanism is fit inside the depth of the layers. The front side of the wood has been sanded. Battery (1x AA) not included. 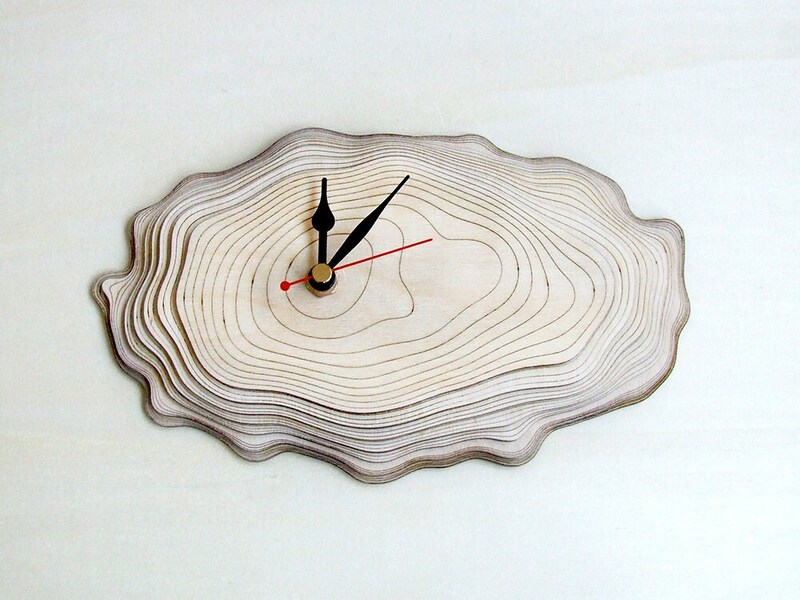 Growth rings, also referred to as tree rings or annual rings, can be seen in a horizontal cross section cut through the trunk of a tree. Growth rings are the result of new growth in the vascular cambium, a layer of cells near the bark that is classified as a lateral meristem. This growth in diameter is known as secondary growth. 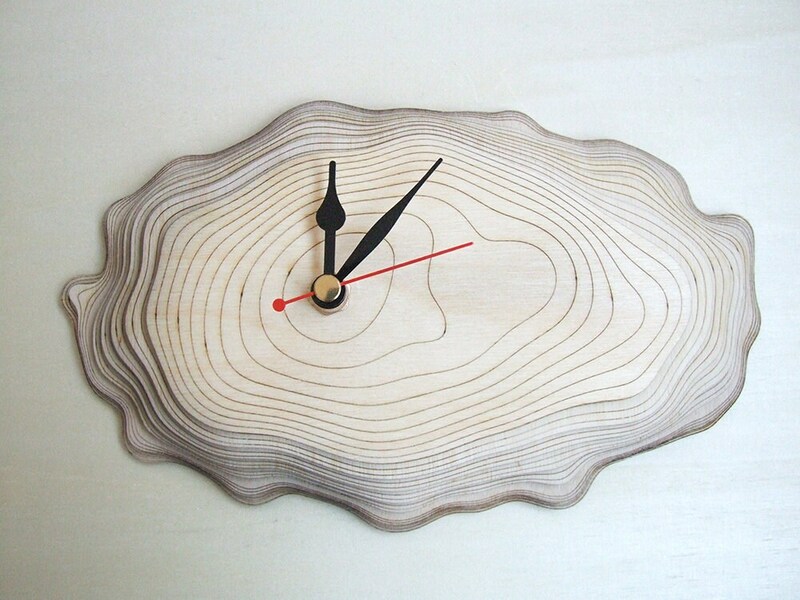 Visible rings result from the change in growth speed through the seasons of the year, thus one ring usually marks the passage of one year in the life of the tree. The rings are more visible in temperate zones, where the seasons differ more markedly.